Moving day is upon us! Well, not quite a day as such, rather a weekend, and just like in the 3rd round of golf, the 21st round of the Aviva Premiership will see those teams left in the mix for the top 4 with hopes for the play offs, the top 6 and hopes of a place at the top table in the rugby champions, or, indeed in one teams case, give their all to try to do the massively improbable, and escape the trap door that leads into the championship next season make another push towards achieving their goals and ambitions, fuelled by a wave of hope and expectation from those of us sat in the stands, in the pub or behind our sofas. Perhaps one of the greatest elements of this is that despite all the highs and lows of each of our respective seasons that we have already experienced, we all start this weekend afresh and hopeful, with the club colours adorned with the same amount of pride as they have always been. What past results? What hurt? What elation has already befallen us? Today is a new day, this round a new round, this hope a new hope. So just as you cannot stop the spring from arriving by cutting all the flowers, none of us can escape the emotional rollercoaster awaiting us. This weekends serving? The Big Sting. The Ricoh will be resplendent in back and gold, with more than a smattering of black, green and gold from our visitors and challengers, Northampton Saints. As an interesting aside Northampton only adopted the gold stripe into their kit in 1905 when they faced the touring New Zealanders, a team just like ours that enjoy the speed and excitement of a open fast paced encounter, If only we had their success rate! However when you look at our past honours, 6 time League Champions, 2 time European Champions, Parker Pen Shield Winners plus 2 Tetley Bitter Cups to our name is quite a haul, and although Saints trophy cabinet is somewhat smaller having 1 league title, 1 European title and 2 Challenge Cup trophies in their possession is not a record to be sniffed at. This is a club, like ours, that knows what it takes to win things, and what winning feels like. The problem is this feeling is like a dearly missed friend with many warm memories at present rather than that intense acute, invigorating sensation that the likes of Exeter and Sarries can enjoy. But what motivation exists in this fixture? Saints are adrift in rugbys version of no mans land, 10th place, 14 points off relegation, 20 points off Champions Cup qualification is a horrible hiatus to be in. Pride will definitely be a motivator, and they showed that in spades in their 27-21 away win at Welford Road last time out. Tigers tamed, derby honours claimed for another year has certainly softened the edges of frustration and anger at the Gardens. 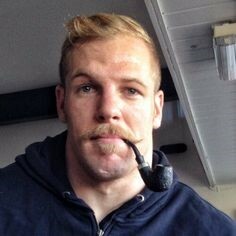 However the bitter pills of conceding 118 points and 18 tries to Saracens in the 2 league games this year, the sacking of Jim Mallinder and now the loss of Captain Dylan Hartley and the immediate retirement of Rob Horne have left their unwanted side effects. Yet when you look at a club that have the names of Sir Ian McGeechan, Gregor Townsend, Matt Dawson and Paul Grayson on their alumni then you know this is a club and current team that will do whatever they can to get another moral boosting win Sunday, and with a 42% win rate away from home in the Premiership they have a chance. In our camp, we can look back to a 5 point, emotion enhancing victory last time out against Worcester in a 30-15 victory with a 60% Wade adding a brace to his vat of tries. Yet to concede 14 points in the dying minutes was sloppy. Championship winning teams turn the screw with unemotional ferocity even when the opposition are well beaten, we do not have that hard nosed edge, yet we are going to need to find it, not only to prevail this weekend, but it is a weapon that should be in the armoury to be called upon when we are looking to vanquish top end opponents and raise silverwear come seasons end. Historically Saints have 7 wins to our 6 since 2011/2012, including a dominating 74-13 home win against us in the last round of the 2013/2014 season. Yet closer analysis reveals in recent seasons since they took the league honours results have swung in our favour. 6 wins in the last 7 outings are enjoyable statistics, with the only loss a 52-30 Away defeat at the Gardens when Hughes was controversially sent off for an accidental collision with George North as the Welsh wing went in to score. Thankfully the 3 match ban was overturned on appeal, and much needed clarity created about accidental and intentional outcomes, as otherwise rugby armageddon would of surely ensued, highlighted eloquently by Michael Aylwin, the Guardians rugby correspondent who stated that to not differentiate between intent and accident would mean that the only way to avoid accidents would be “not to play rugby”. Thankfully for all of us egg chasers this was a course not trodden, a path not followed and Rugby rumbles on, long may that continue! So where does this leave us this Sunday? We’re in for a cracker! Northampton uninhibited by expectation of qualification, relieved of fear of relegation have all to gain and little to lose, yet 2 wins and 8 defeats away from home puts a solid D grade in their report card and a “see me” note from their incoming DOR Chris Boyd. We on the other hand have the pressure of reaching the play offs and ensuring that qualification for Europe is done and dusted by our trip to the Falcons. A win this weekend and a win for Newcastle against Tigers and Bath against Gloucester Lions in the west country derby will ensure both occur before a conversion is kicked in round 22. We will have to step up our performance though, play for 80 minutes, win the gain line battle, and ensure our set piece percentage is in the high 90s. Our forwards are the key to this, Mullen, Cruise, Taylor, Willis, Launchers, Chesty, Cooper Wooley et al have to play their part. Do this and it gives the likes of Robson and Cipriani front foot ball, unleash the talents of Gopperth, the guile of De Jongh and Daly, the speed of Wade and the brilliance of Le Roux. And let us not forget the likes of Bassett, Eastmond, Gaby, Myall, Hasks, Rowlands, Thompson and Young to mention a few, we are blessed! Yet what writer and what Waspie would I be without mentioning 3 Wasp legends that we will be seeing adorning the black and gold for the last time at the Ricoh. That is Danny Cipriani, James Haskell and Guy Thompson. It is hard to find words that do justice the input and contribution these lads have put into the club we all love. But when they do move on to pastures new I want them to know that all of us will miss them, and all of us cannot thank them enough. 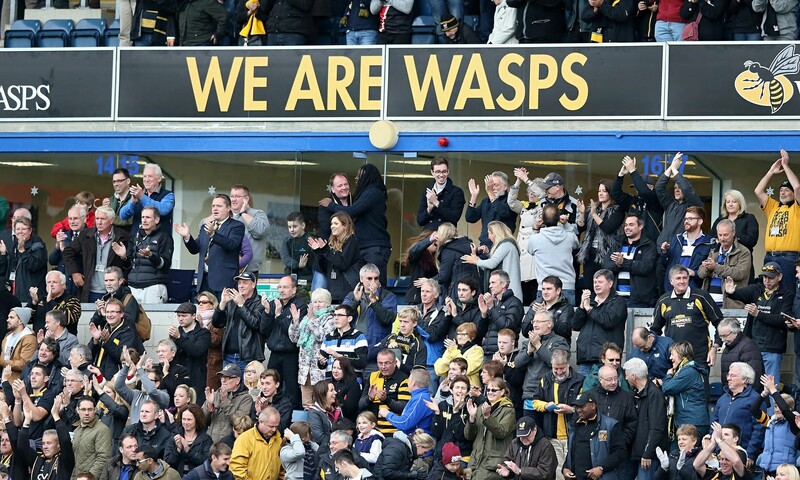 We will make the stadium rock especially for you this weekend, you’ve done the jersey proud lads, and……..once a Wasp ALWAYS a Wasp! Now lets go get a win this thing! And remember…. Once a Wasp ALWAYS a Wasp! Cheers Wombles, good read. This has added to the excitement for tomorrow. link just takes me to forum login area but I'm already logged in? I had the same problem but when I went back to the message list page and clicked on the thread it brought me to the article. Great read Wombles, thanks. Enjoyed reading that wombles222. Nerves and emotions are sky high. It’s all to play for but there is no margin for error. An excellent read thank you. Also a chance to say goodbye to Sam. My first family outing to a home game since the move. Very excited and I hope my youngest, enjoys it. As it is the last home match hopefully we might get told who else is leaving to give them a thank you too. Marty Moore makes his 50th appearance tomorrow and is known to be leaving so should be applauded as well as the "bigger" names. It wouldn't be Wasps if we didn't get a chanmce to thank all leavers. Bath makes it a little easier for us, don’t need a bonus point win now, any win will do. Good. Boys should be up for it.